Are insects part of a healthy plant-based diet? Well, I almost swallowed a little critter while eating lunch at David Lee’s Planta in Yorkville. “Plant-based” is one of the biggest food-related buzzwords these days, and the vegan movement has never been trendier. 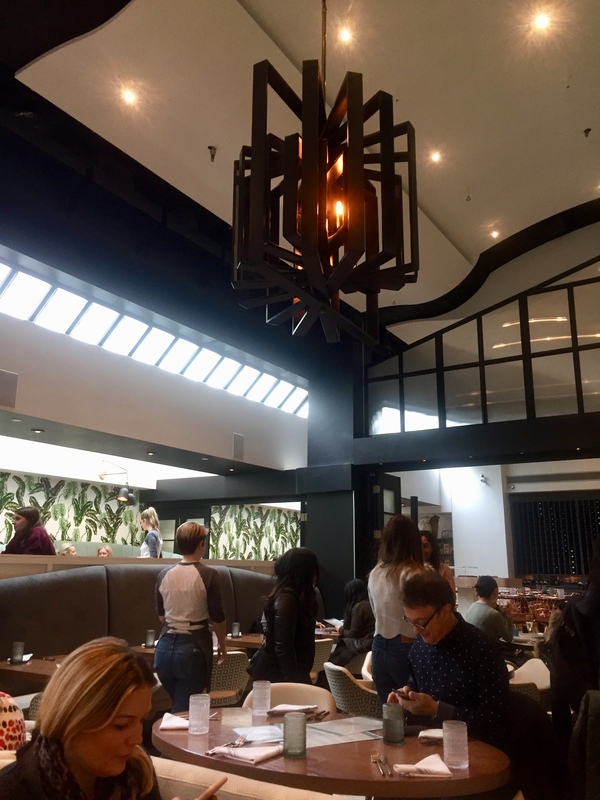 At Planta, Lee is right on trend. His innovative offerings disguise plant-based ingredients in a way that tricks your taste buds. 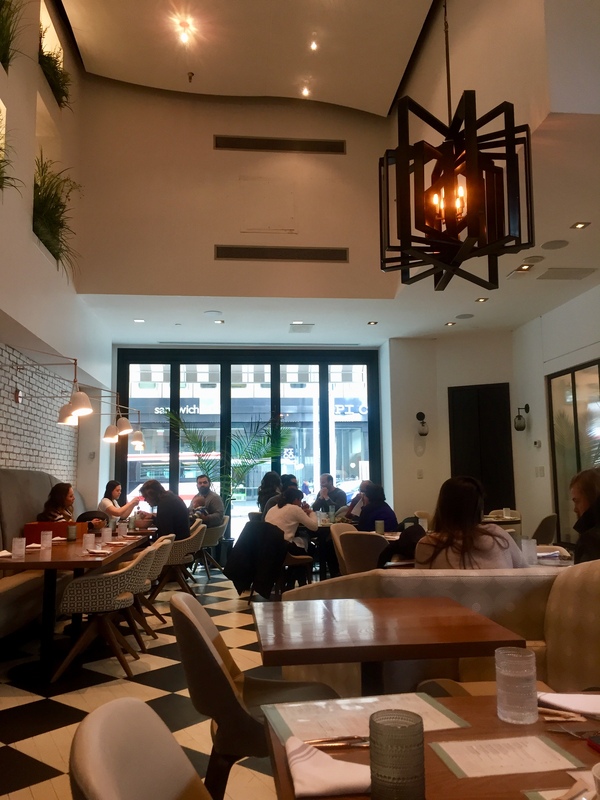 Having been to Planta a couple times before—once for dinner when it opened in September 2016, and more recently for lunch—it was time to review it. 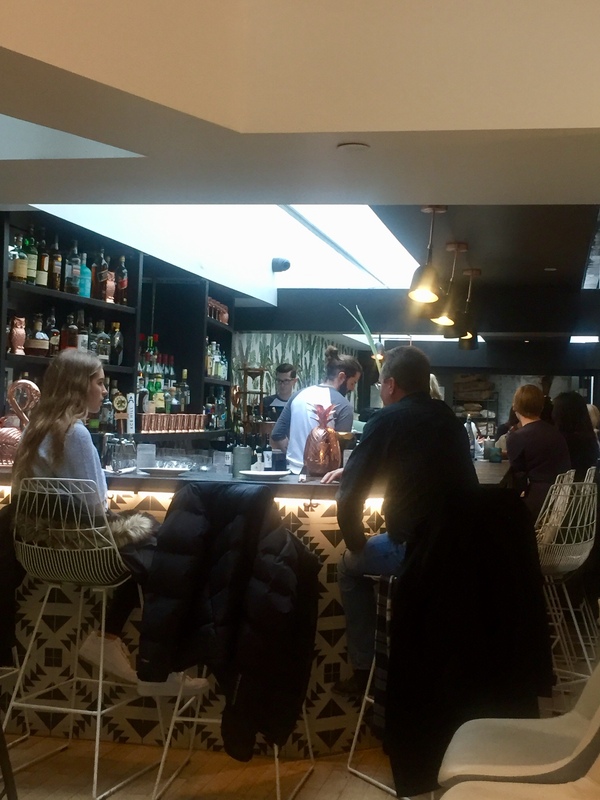 The ambiance was far from what you’d expect—it was stylish and open—a haven for any plant-based fanatic. The ceilings soared. Painted green leaves danced on the walls. Plants were plentiful. Dark wood and rose gold accents warmed up the large dining area, contributing to a Zen-like feel. 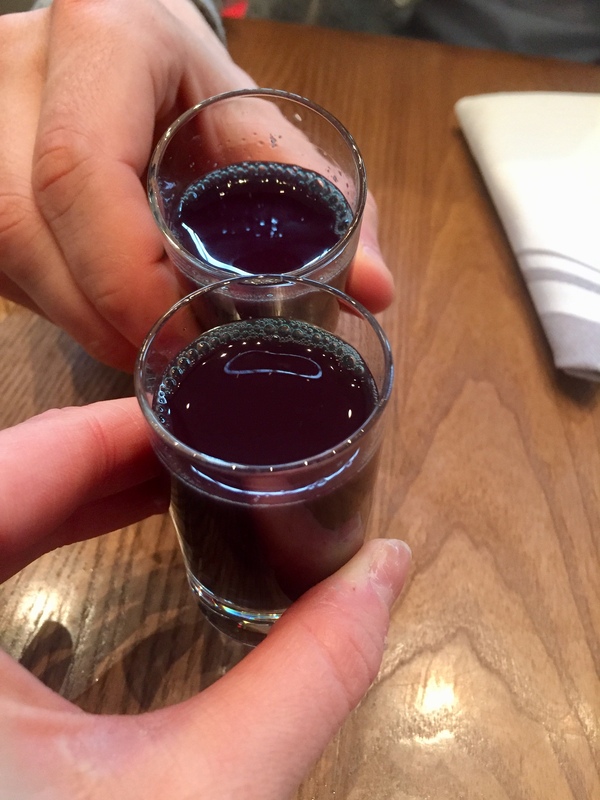 My guest and I started off with a shot of cold-pressed E3 Live ($6). It smelled like rotten crayfish washed up on the beach and it didn’t taste any better. 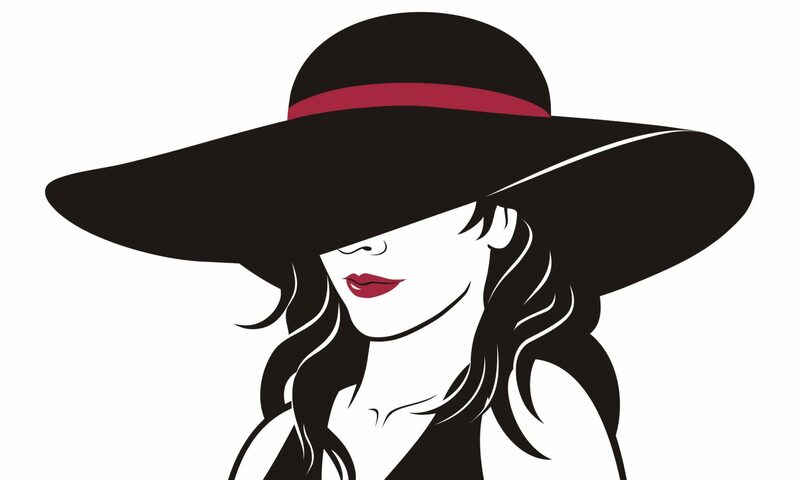 We said “santé,” clinked our glasses, plugged our noses, and downed our dose of healthiness. With a less-than-pleasant aftertaste, we quickly ordered some food. 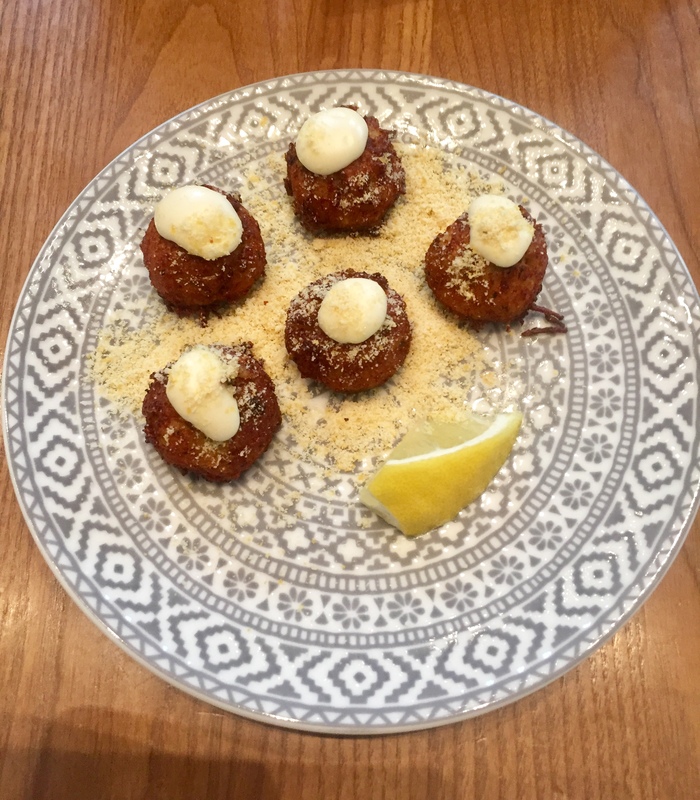 One of the best appetizers was the cauliflower tots ($10.35)—five small taters sprinkled with truffle almond “parmesan.” Having five of these taters on the plate almost caused World War III because my guest and I were duking it out for the last one. 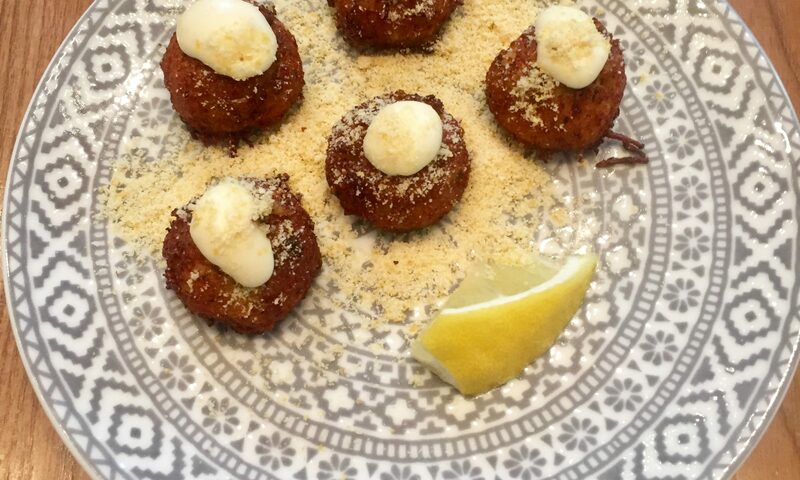 These blissful bites were praise-worthy. 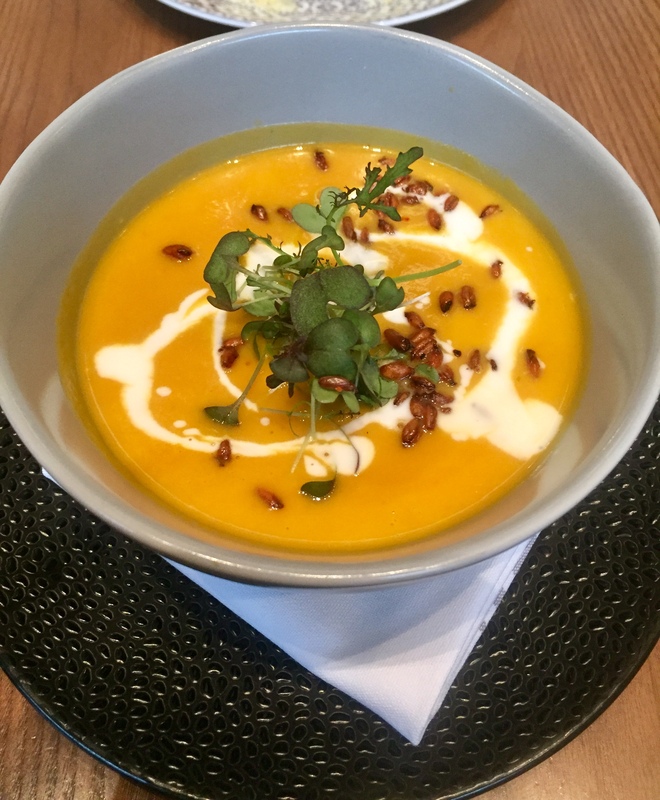 We also ordered the seasonal soup, which was a practically bottomless bowl of hearty butternut squash and ginger purée ($10.50). Toasted sunflower seeds and microgreens added some pizzazz to the presentation. La soupe était tellement delicieuse, and it was a nice way to warm the soul. Like the cauliflower tots, the Planta Burger with a side of spiced fries ($19.95) could have fooled a carnivore. Lee spent years perfecting the recipe. What surprised me when I bit into the dense burger for the first time last year was the deep flavour profile. It was accented by queso and mushroom bacon, which lent a smoky flavour to the burger. Insider tip: If you like the burger, you can now get it for half the price at Planta’s new burger-only outpost, Planta Burger. Although I wanted the burger again, we opted for lighter fare and ordered the Kale Caesar ($15.35) and Harvest Salad ($16.95). 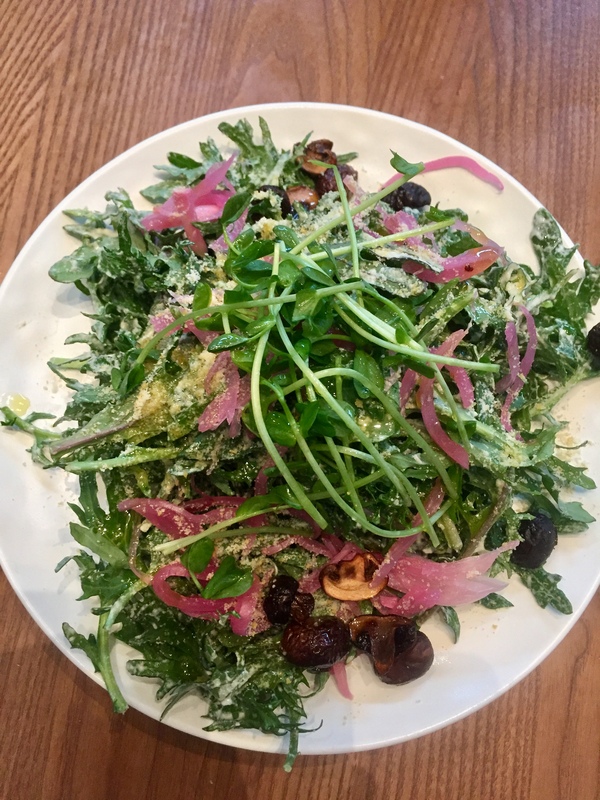 The Kale Caesar was a predictably satisfying mix of baby kale topping with mushroom bacon, pickled onions, almond parmesan and sprouts. 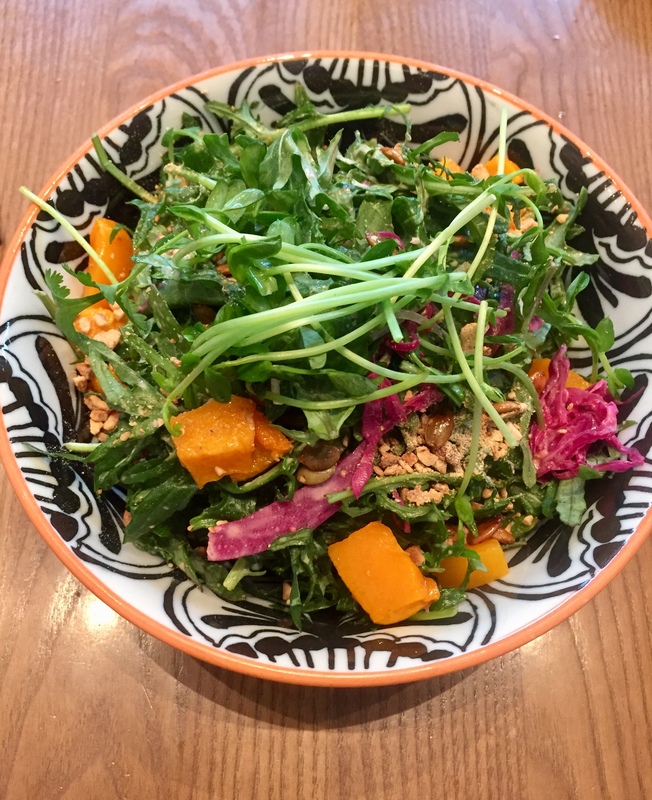 The Harvest Salad—a deep bowl of spiralized zucchini, roasted squash, kale and cabbage slaw, crushed cashews, pumpkin seeds and creamy mustard dressing—started off on a high note, until I almost ate a bug that was living in my cabbage slaw. Dégoutant! Quelle horreur! Our server apologized (as if it was her fault) and kindly waived the salad from the bill. She allowed me to choose another item free of charge…so naturally, I chose the burger! Harvest Salad (before I discovered the bug). From the fresh-pressed juices to the hearty burger, Planta takes plant-based cuisine to new heights. And it’s even opening a new location in Miami later this year. Regardless of my experience and the fact that I could recreate most of these dishes at home, it’s worth checking out. Hopefully without a side of bugs! Hello to every one, for the reason that I am in fact keen of reading this webpage’s post to be updated daily.It contains fastidious data.